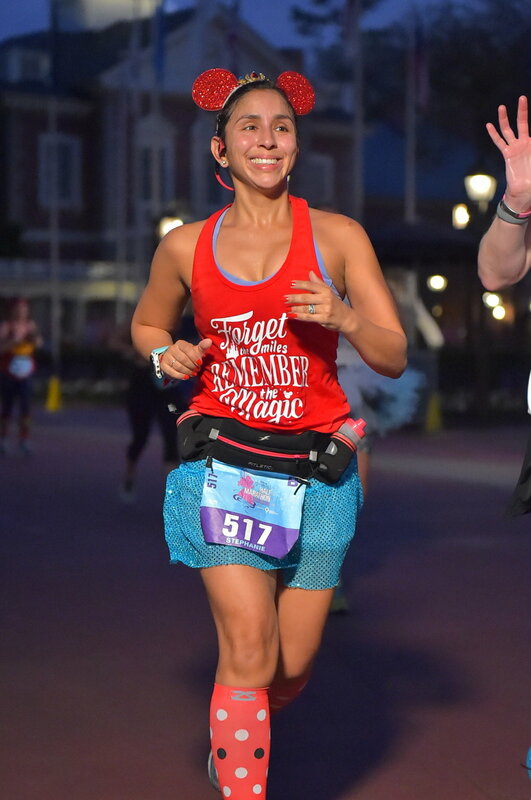 2019 marked my fifth time running Disney’s Princess Half Marathon, fourth time running it for charity, and third time running it for Girls On The Run Central Florida. I absolutely love Disney races because they are such a production with fireworks, characters, and costumes. What I particularly love about the Princess Half Marathon is that the course takes you down Main Street and through Cinderella’s castle in Magic Kingdom. The one thing I don’t like, which is what most people don’t like, is the early start time of 5:30am. My goal with the race this year was to enjoy the miles. 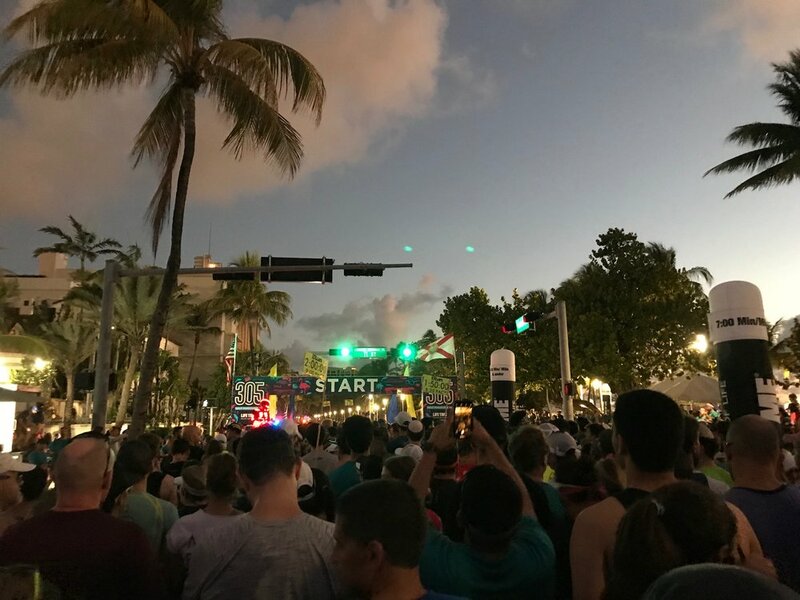 I even bought a shirt that said, “Forget the miles remember the magic.” After the bummer that was the Miami Half Marathon, I wanted to reconnect with my love of running 13.1. For me, Princess was perfect for this because I always go into this run prepared to make lots of stops for character photos (meaning: no time pressure). 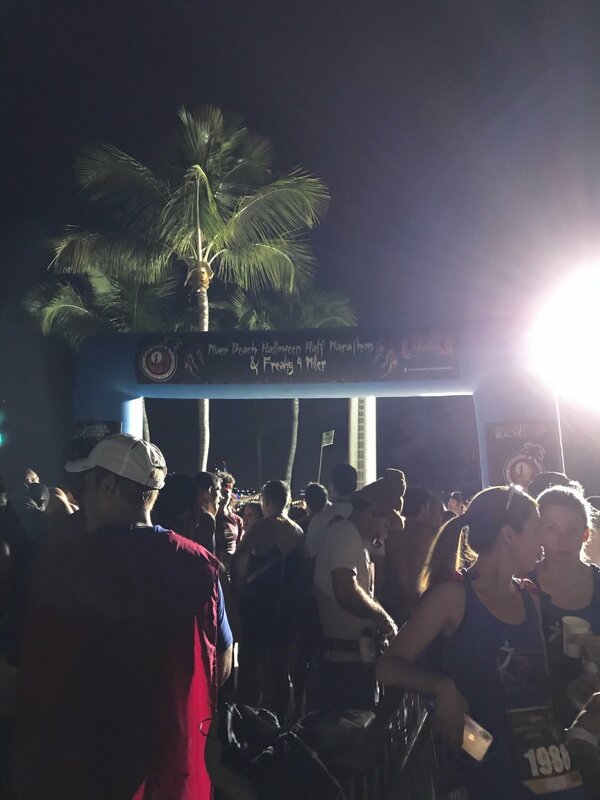 Most things were smooth leading up to the race, from getting into the Orlando-area an hour earlier than planned to getting to the Epcot start-line with enough time to use the bathroom and comfortably walk over to my corral. Being in corral B meant I was running by 5:40am and was able to get most of my miles done while it was still dark out. It was, however, humid and incredibly muggy, so I was drenched a mile into the race. My plan was to run comfortably to and between character stops. The first character stop was somewhere between 1 and 2 miles (Jack Sparrow) and was followed by character stops before 3 miles (the princes), around 3.5 miles (Evil Queen), throughout Magic Kingdom (Buzz, Belle and Gaston, Snow White, Jessie, Goofy, and the Villains), around 7.5 miles (Tinker Belle), between miles 9 and 10 (Jack, again), and throughout Epcot (Pluto and Mr. and Mrs. Incredible). I’m sure I missed some characters and this is all in addition to any stops made to take pictures of the parks that us runners had VIP access to before the parks opened to the public. 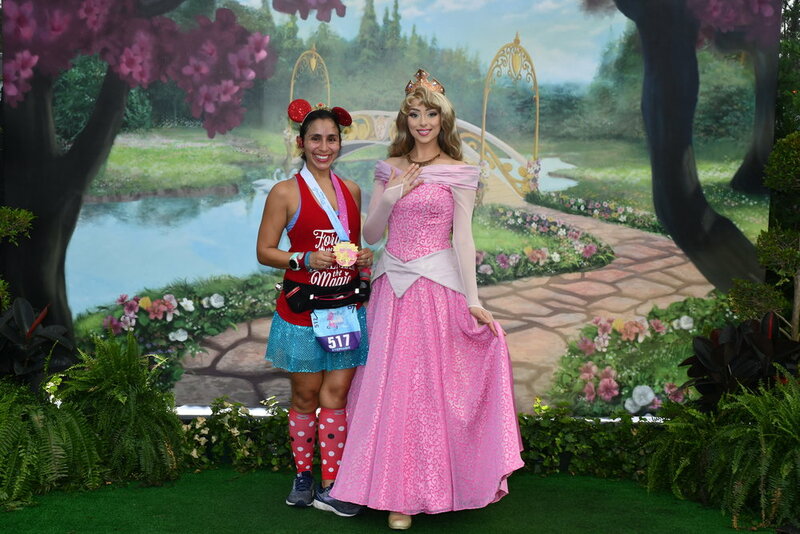 Disney also creates opportunities for pictures with various princesses before and after the race. In general, I felt amazing during this run. I fueled up at miles 5 and 9.5 with my trusty GU salted caramel. Because of the side stitches I got during the Chicago Marathon and the Miami Half Marathon, I was weary of a repeat and was a bit on edge. I kept checking in with myself: Am I drinking enough? Was that enough fuel? Am I breathing ok? I also kept thinking, “I feel amazing, but this won’t last” and “I still feel good. I can’t believe how good I feel.” Side stitches stayed wherever it is side stitches live and left me alone for all 13.1-magical miles throughout Disney. I feel like I smiled from start-to-finish. I found a rhythm in the run that felt good and almost effortless. The miles went by and, when I finished, I felt a strength that healed the bruising that was Chicago and Miami. Princess Half Marathon was not a personal record, but it was definitely a personal best. I ran strong, felt strong, and didn’t get into the head space of “X-miles down, how the hell am I going to do X more?” When I finished, all I wanted to do was sign up for the 2020 race and do it all over again. This race felt good in a way that makes the time on the clock feel completely irrelevant. In the days since the race I’ve come to realize that running for the pure joy of running is exactly what I needed to overcome the self-imposed pressure of running X-time and disappointment in failing to do so. I am fit and I am strong. I know I’ve gotten stronger, both mentally and physically, as a runner. Just like I need the easy runs to balance out the speed-building runs, I need fun runs to balance out the focused, goal-driven runs. It’s forever a learning process that requires compassion and flexibility. Go Girls On The Run Central Florida! Running for Girls On The Run Central Florida. Official time of 02:11:58 (a course record). There is something so magical about running through Magic Kingdom. Fireworks at the start and at the entrance of Magic Kingdom. Aurora theme: cool shirt and even cooler looking medal. Start and finish are in the same place. Lines for character pictures moved fairly quickly; I don’t think I was in line for more than 5 minutes. Post-race snack box. I honestly look forward to the box each year to see what snacks made the list. Champagne with Minnie chocolate and “glitter” beer. Expo was just OK this year. It felt smaller and not much grabbed my attention. I understand why it’s set up the way it is, but the walk to the corral is a bit of a trek. 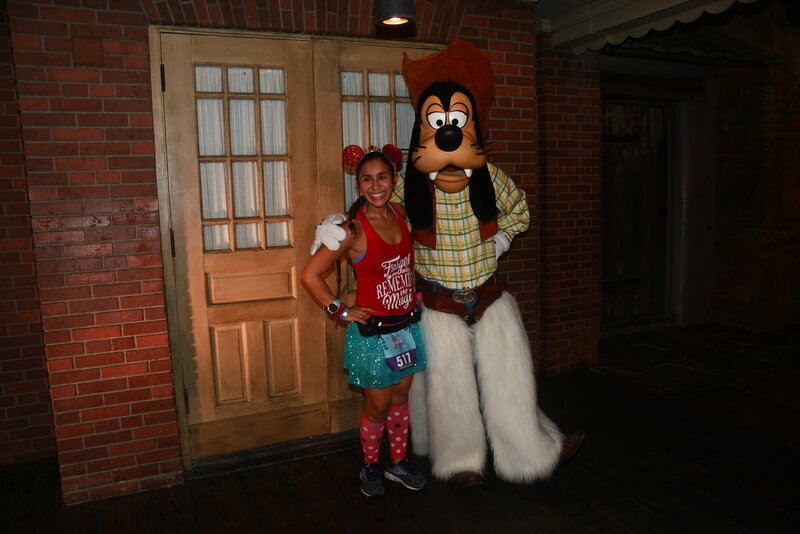 Even though Disney races are pricey, I always recommend them to people, especially people looking for their first half marathon experience, because there is enough entertainment before, during, and after the race to help the miles pass by semi-quickly. This is a race I will definitely be going back to in 2020. Next up for me is the 305 Half Marathon on Sunday, March 3rd. After this race, no more (planned) half marathons until August (Seawheeze).